Pristina, 25 November 2016 - Through its resolution 54/134 of 17 December 1999, the United Nations General Assembly designated 25 November as the International Day for the Elimination of Violence against Women, and invited governments, international organizations and NGOs to organize activities designed to raise public awareness of the problem on that day. Please find below the Secretary-General’s message on this year’s occasion. This day was also chosen as the beginning of the 16 Days of Activism Against Gender-Based Violence, which runs until 10 December (Human Rights Day). Widely known as the “16 Days Campaign”, it is used as an organizing strategy by individuals and organizations around the world to call for the prevention and elimination of violence against women and girls. 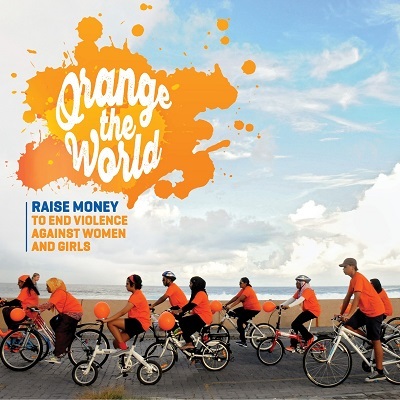 This year, the UN Secretary-General’s “UNiTE to End Violence against Women” campaign invites you to “Orange the world - raise funds to end violence against women”, using the colour designated by the UNiTE campaign to symbolize a brighter future without violence. Click here to access the campaign calendar, which provides information about the activities that will be held in Kosovo during the 16 Days Campaign.